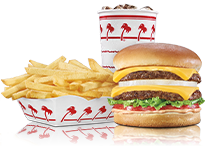 In-N-Out Burger - Plano, TX, 2740 N. Central Expy.. Welcome to our restaurant in Plano, TX. between E. Park Blvd. and E. Parker Rd. 7909 Lyndon B Johnson Fwy.